If you really want your camping gear to last, storing it properly is a must! Storing camping gear is my least favorite part about camping. I hate setting up the tent, but not as much as I hate stuffing it back into the bag! Keep it clean and dry – Wash dishes, and pans, air dry fabrics, like the tent, wash sleeping bags, clothing, and blankets before storing them. Smaller Bags inside the large plastic totes – Pack all of the food items together in something like these clear zipper bags and any other perishable items like coffee so that when you get home you can pull these items out and put them away in the kitchen. Using these clear smaller bags inside the totes for things like first aid, bathroom, kitchen utensils, will help keep you organized. I like that they are clear. I don’t have to label each bag or memorize what is where. Larger items can stay in the plastic totes. When you go camping most of the packing will be done for you! Store camping gear away from humidity and heat – if at all possible. Some items like matches, lighters, propane and other flammable items should not be store in high heat. Tents and sleeping bags may mold if stored in a humid environment. Storing them inside in an air conditioned home is a great way to ensure they do not get moldy. You can use moisture absorbent packs too if storing in the garage or other hot and humid area. Although, these will have to be replaced from time to time. Have you ever wondered how to clean one of these? Before you store it for a while, you may want to clean it. Here are five super easy steps to do just that! 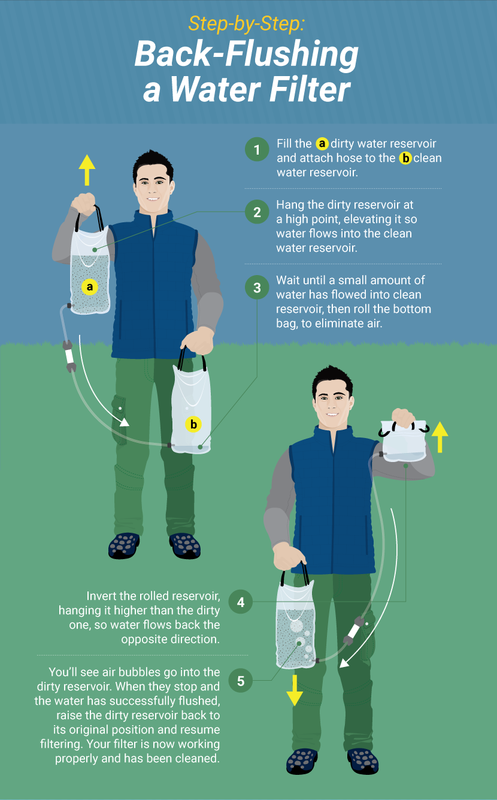 These water filters are pretty handy to have, if you don’t have one yet you should check them out! 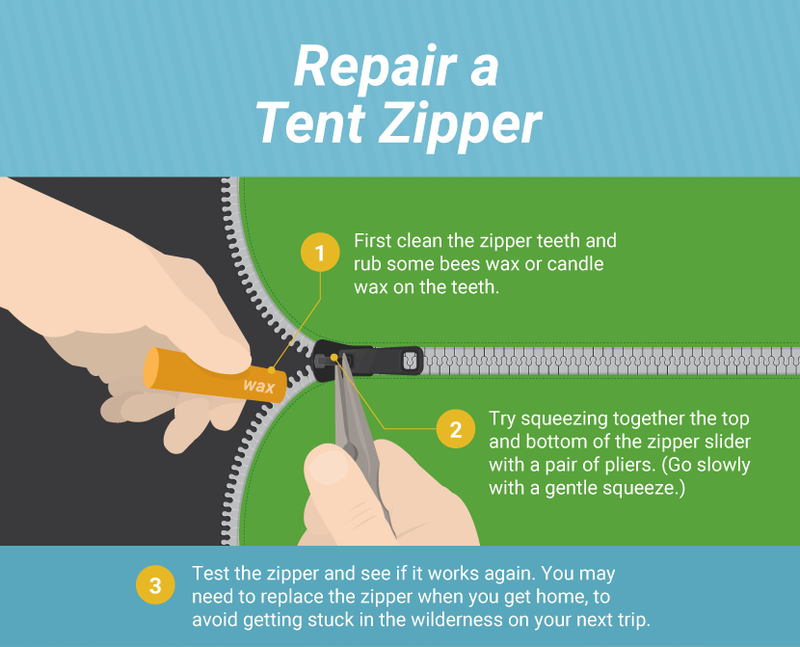 Seriously, how annoying is it when the zipper start sticking on the tent? There is an easy trick to for keeping the zipper sliding smooth like butter. WAX. Okay, so you didn’t pack a stick of wax? What’s wrong with you? Just kidding, just pull out your trusty chap stick. They usually have enough wax to do the same job. A candle will also work. It never fails, when we are packing up the tent, it is damp! If you want to keep your tent in good shape the best thing to do is to set it up when you get home. Make sure you choose a sunny spot. Open all of the windows and doors. This is also a great time to get in there with the broom and sweep out all the dirt, sand, and tree litter! 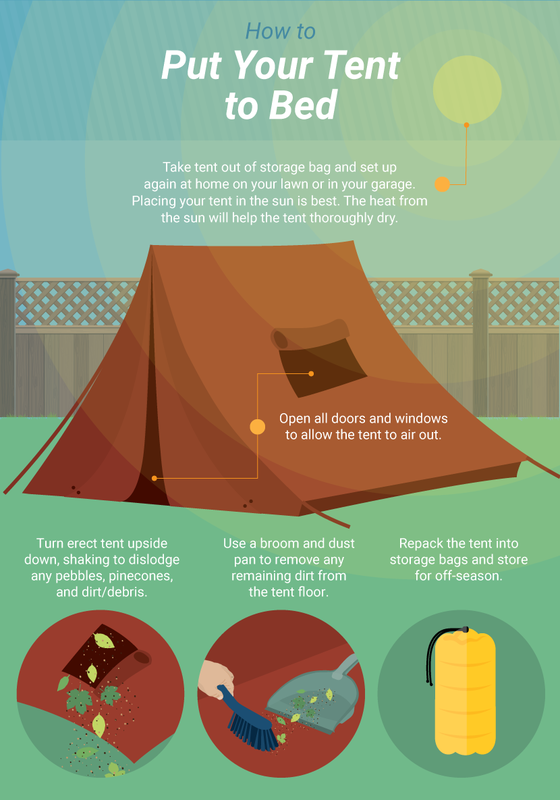 Once the tent has dried out, pack it up and store it until next time!